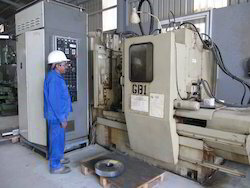 We are offering Gear Hobbing Machine Repairing Services to our clients. They Work By Creating a magnetic eld between the hob and pan. They’re quick, easy to use, and energy efcient as well. Our enterprise has made an exceptional breakthrough in the arena of providing highly exceptional and reliable Cooking HOB Repairing Services. In conformism with pre-set industry principles, a crew of personnel provides these services to our clients. The provided services are enormously in demand in the industry due to their characteristics such as reliability and on time completion. We provide chimney cleaning, repair, and installation services. We are repair all brands of chimneys and HOB in Kanpur to offer the ultimate kitchen that is free of any sort of smokes, fumes, odor, dirt and oil. Apart from this, our ability to modify these as per our customers necessities makes these services highly valued. We are repair all brands of chimneys and HOB in Mumbai to offer the ultimate kitchen that is free of any sort of smokes, fumes, odor, dirt and oil. - We service and repair all types of cooking range and stoves. You perhaps spend a big amount of time in your kitchen. Even a small snag with your chimney or hob can cause a disruption in your daily routine. So you no longer have to worry about any breakdown or installation or maintenance - anything else that you do not wish to bother about.We also repair blender, Juicer, Mixture, Electric kettle, Waffle iron or any other electric equipment. Shree Siddivinayak Services give the best service of Chimney & Hob Repairing. Our highly trained service technicians are among the best in the industry. 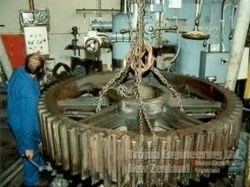 They are experienced, professional and factory trained authorized technicians. You can expect our professionals to explain your repair options and costs to you before they begin any repairs.